In this digital age, it can be easy to forget about the physical touchpoints of your brand. Printed marketing materials are a staple for branded communications. No matter how many of your the interactions with your brand become digital, there will always be a need for something physical, that consumers can touch and feel in their hands. And with the online printing services available, producing marketing materials is inexpensive and fast. There are three important keys to creating successful printed marketing materials: Knowing your target, good design and creativity. Know Your Target Audience – Know who you are trying to reach with this marketing piece. Where will they read it? What do you want them to do once they have viewed the material? Make it relevant and actionable. Good Design – If you do not have an in-house design team, or agency, there are plenty of freelance options that can be found online. Creativity – Think of ways to do something unexpected. How can you surprise and delight with this piece? Look at what your competitors are doing in this space. Think of ways to do something totally different. The red dot becomes the visual focal point of this piece announcing the opening of a new credit union branch. Creatively simple. Very effective work from Hester Designs. 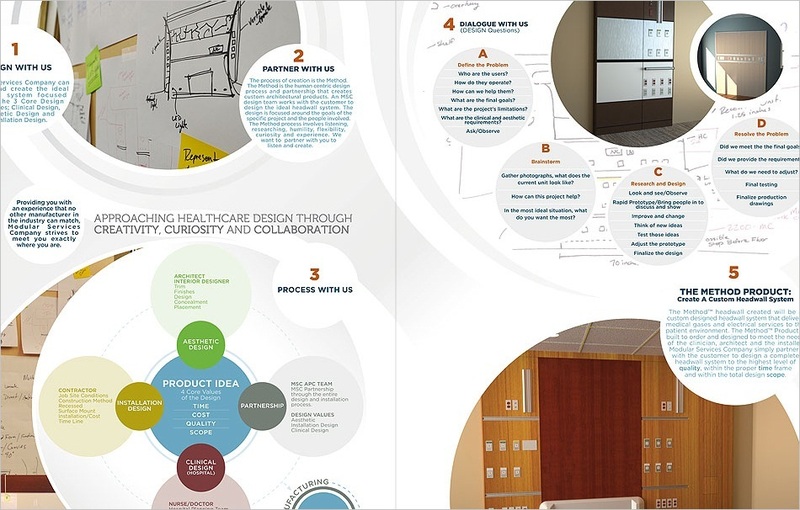 This elegant brochure was designed by 10 AM Design for Method, a custom solutions company. It uses the typical brochure layout, but the design superb organization of the information is what puts it over the top. 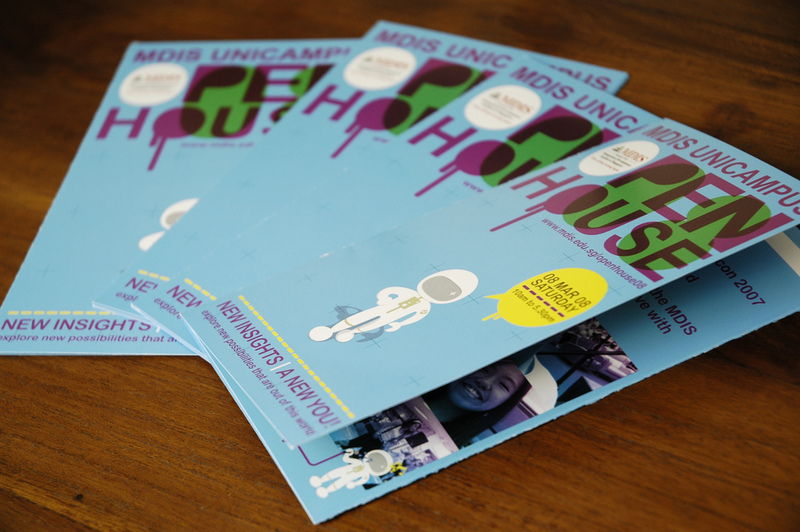 Beautiful use of color in this informative brochure for the MDIS Unicampus Open House. Designed by Will Lee. Delightful presentation of employee handbook information for the UK company Eco Freako. Designed by Soul Seven.